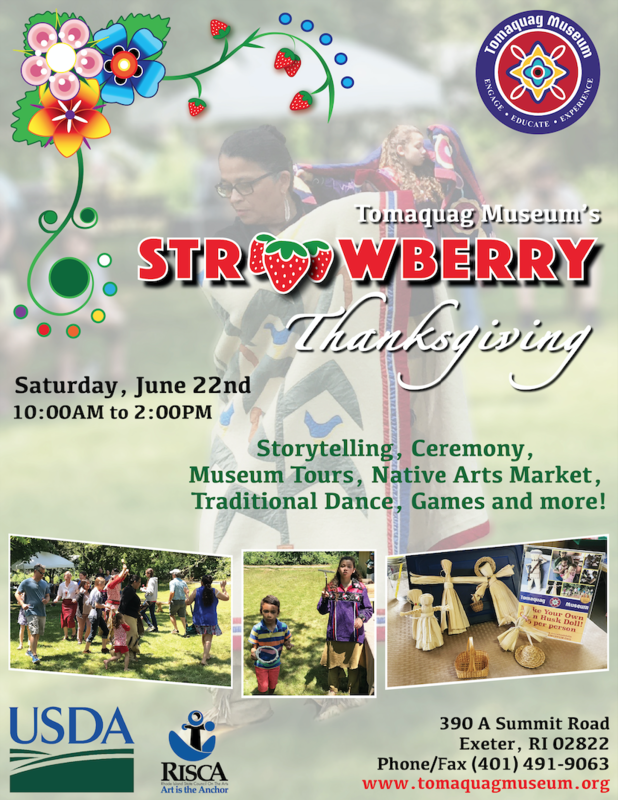 Tomaquag Museum invites the public to celebrate Strawberry Thanksgiving on Saturday, June 22, 2019 10am-2pm. Special event included with general admission $6 adults, $5 Seniors/college students, $3 children (5 & under free). Strawberry Thanksgiving features storytelling, traditional dance performances and live music. 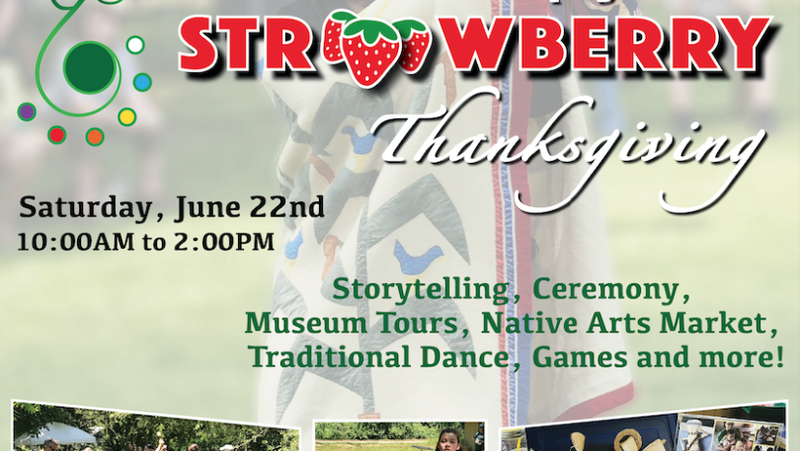 Join in our traditional games and social dances with our many Native educators and community members; games, crafts and face painting for the kids; and an array delicious strawberry dishes prepared by Narragansett cook Pearl Brown. Enter our ring and pin competition for a chance to win fabulous prizes. Support Indigenous Empowerment and shop at our outdoor market of Native artists and vendors featuring a wide selection of traditional and contemporary art, jewelry, prints, gifts and more. The museum will be open for self-guided tours with educators on hand to answer any questions. We encourage the public to arrive early for our opening ceremony led by Narragansett Elder Dawn Dove at 10:30am and followed by the legend of Strawberry Thanksgiving by Paulla Jennings, nationally known storyteller, as we give thanks for the gift of the strawberry. Bring a friend and join us! To learn more, visit our website at www.tomaquagmuseum.org. “At our annual Strawberry Thanksgiving we celebrate Creator’s gift of the strawberry, a traditional symbol of love and friendship. This event has become increasingly popular each year drawing in guests of all ages not only to experience local Indigenous culture but to engage in the celebrations along with members of the tribal community. It’s a great day to make new friends and lasting memories, which is exactly what the strawberry represents.” Silvermoon LaRose, Assistant Director.